We all know there’s no crying in baseball but it’s hard not to do when watching ‘42’. The film portrays the racial tryst Jackie Robinson faced when he broke barriers to play in the all-white professional league. 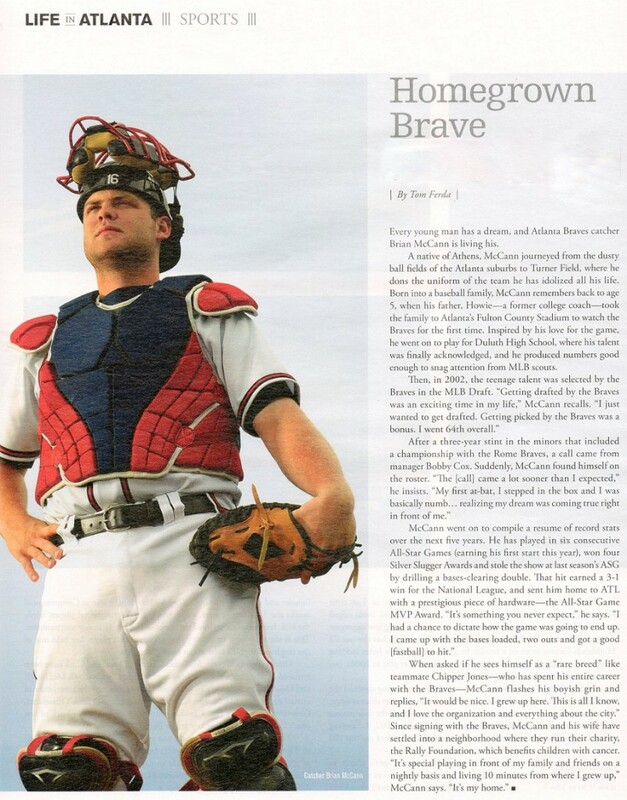 Every young man has a dream and the Atlanta Braves’ Brian McCann is living his; playing Major League Baseball in his hometown. Witnessing the demolition of Detroit’s historic Tiger Stadium, is like attending the burial of a loved one. While bulldozers rip the riveted steel girders out one beam at a time and bury them in a nearby landfill, they will never purge the heart and soul out of that ballpark. Previously published in Baseball Digest Daily on July 15, 2008. It’s the bottom of the 6th inning with two outs and a man on base for the Arizona Diamondbacks who trail the visiting Houston Astros 7-5. The raucous crowd of Diamondback fans at Chase Field rise to their feet as the pinch hitter digs in, awaiting the delivery. The pitcher Dave Borkowski, confident, rears back and fires the ball, challenging the hitter. The ball is greeted with a solid crack of the bat and the crowd erupts as the ball sails into the right field seats for a two-run pinch hit homer to tie the game. In a matter of seconds, one pitch, one crack of the bat. . . and two runs on the board for the Diamondbacks. Unusual? This time it was. On July 16 with the Braves sitting 6.5 games behind first and the last-place Nationals coming to town, it wasn’t time for the Fat Lady to sing just yet. Now that we’ve taken a few days to come down from the adrenaline rush provided by the longest game in All-Star history it’s time to take a look at the importance of a strong Braves start in the second half. Can the Braves close the gap and give GM Frank Wren a reason to keep slugger Mark Teixeira past the July 31 trade deadline? DETROIT – Despite receiving enormous salaries and long-term contracts, All-Star players and fan favorites are being forced to trade chartered flights to MLB cities for trips to away games on a bus.